Jeremy Corbyn: Beware the Ides of September! Right wing Guido Fawkes feasts on Tim Roache’s sexist remark to push his own reactionary agenda at the 2016 GMB Conference: “Priti Patel, surely a contradiction in her name”. Strong suspicions that plans are afoot to ambush Jeremy at the Labour Conference in September is there is a Brexit vote. The bogus charm offensive by the right wing bureaucracy of the GMB union, buttering up Jeremy Corbyn and John McDonnell at their annual Congress, to lull them into a false sense of security, has about as much authenticity as the recent and equally bogus anti-Semitism charges levelled against individual socialists in the labour movement. The General Secretary of the GMB union, Tim Roache, who was elected with the huge backing of two point four per cent of GMB members, in an election that produced a four point five per cent turnout, and is still the subject of litigation, claimed to be a supporter of Jeremy Corbyn. At the same time he was critical of the leaders approach to Europe saying that Jeremy was not approaching the issue of immigration effectively and calling him mealy mouthed. He also urged Jeremy to whip Labour MPs into supporting the renewal of Trident. At the same time the GMB Congress was condemning those MP’s who attack Jeremy, threatening that any GMB supported MP guilty of such behaviour would have their funding withdrawn and that de selections could be the consequence of continuing with the backbiting against the leadership. John McDonnell was also feted at the congress and the union was pushing the idea of a basic income to replace benefits under a future Labour government. An idea that the shadow chancellor has given a serious commitment to look at. In the forthcoming Labour Party conference in Liverpool in September the trade union bureaucracies still command the largest share of the vote. Two of the General Secretaries of the three big unions are of retirement age, and the other one, the aforementioned Tim Roache has a tiny mandate in an election that still has question mark over its validity. A vote of no confidence in Jeremy and his replacement by the deputy Tom Watson, without there being an election is a perspective that has been met with disbelief on the left. Many genuinely believe that it is too farfetched to be real. Other flinch like the political cowards they are because it is a horrible prospect they don’t want to look at. We are up against a ruthless establishment who are witnessing their Tory government disintegrate before their eyes. We are up against a bought and paid for fifth column in both wings of the labour movement whose prime objective is the pursuit of their own vested self-interest. The government would fall if the European vote is to leave. It could fall as a result of the election expenses scandal. The prospect of a Corbyn led Labour party and what it represents coming to power fills the ruling elite with horror. So far the political wing of the fifth column in the Labour party have made a mess of undermining support for Jeremy in the hope that they would be able to mount a coup. Quite the opposite, some of the disgraceful antics of some Blairite MP’s has been so transparent that they have served to increase support for the leadership. Now, and it is probably their last chance, the loyal lieutenants of those who ultimately hold the purse strings, from the industrial wing of the Labour movement have been called into action. Those who have usurped power in the once strong trade union movement are going to be playing a very treacherous role in the coming weeks and months. The left in the Labour party must wake up to this reality. The union’s rank and file must fight to restore democracy and retake power in their unions. Power that is currently being misused to undermine the leadership of the Labour party and derail the anti-austerity movement. The key point of this article is to try and open up viewing of the links between the corrupt trade union bureaucrats, the worst of course being ‘gumboots’ (GMB) and its links with the Labour party. It was difficult not to find my mind wandering in the direction of the, exceptionally high and exceptionally rotten institutions that rule the roost in Britain in 2016 and that includes those effectively acting as a fifth column in the labour movement. Those whose pursuit of vested self-interest coincides with the interests of the ruling elite and their establishment – or corrupt trade union bureaucracy. Those who really pull the strings, the banks and financial institutions whose tax avoiding, speculative and criminal behaviour was the spark that unleashed the financial crisis in 2008, referred to in such colourful terms as ‘the bankers crisis’, ‘the credit crunch’, etc. It is in fact no more and no less than the inherent and recurring crisis of capitalism, an economic system based on exploitation either directly through the theft of the surplus value produced by labour; the unpaid labour stolen from the working class through exploitation at work. Or indirectly through theft by property ownership and exploitation through rents and mortgages etc. It is an economic system that is criminal in itself, the scandals of offshore tax havens are a prime example of this. The case of the Panama papers is damning in itself but barely scratches the surface of a totally corrupt and bankrupt capitalist system. However back to the specific corruption of the institutions that reside in the biggest offshore tax haven of them all, the largely rentier state of once ‘Great’ Britain. The institutions that they would have us believe are in control, their corrupt cabinet of millionaires and their corrupt parliament, aptly known in some circles as the cesspit – the organisations that are really in control, the banks and financial institutions and their boards and their bonus addicted directors. The organisations dedicated to misinformation and preventing people from knowing what is really going on, their media, written and visual, institutions who seem to have lost all understanding of the truth and their supposed responsibility to report it. Their legal system, a system that appears to have lost all understanding of the word justice, and their supposed responsibility to administer it. Their armed forces, who, farcically, are meant to exist to defend us, (names like Deepcut, the murderous operations in the north of Ireland like state involvement in the recently highlighted Loughinisland massacre, and the horrific abuse suffered by prisoners in the Iraq and the subsequent cover ups are the immediate examples that spring to mind). Their security forces and issues of illegal rendition and torture and the subsequent judicial cover ups that prevent charges being brought. The civil rights solicitor Gareth Peirce (above) has been to the forefront in exposing all these injustices as state crimes and cover ups against the working class. Police involvement in spying on labour and union activists on behalf of the government and the employers is still rife. The major building firms and the blacklisting scandal is one blatant example. Several big construction firms, including Skanska, Balfour Beatty, McAlpine, Carillion and Lang O’Rourke, have recently made an apology for their secretly denying trade unionists work and made a pay-out of £75 million to 771 workers. 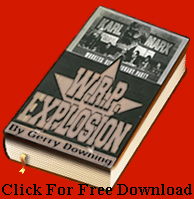 Several union full time officers supplied their bosses with the names of militants who were then blacklisted for life by the Consulting Association, who sold the names, 3,213 in all, also supplied by police and MI5, onto the firms. A host of other scandals are also unfolding almost on an almost daily basis like the scandalous treatment of workers at Sports Direct and the outrageous circumstances that surround the collapse of BHS with the loss of 11,000 jobs. Like the examples given to expose the rottenness of the international capitalist system these examples of the manifestation of its rottenness in Britain barely scratch the surface of a failing state and a failing economic system that is utterly putrid with the stench of corruption that would make any genuine human being sick to the pit of their stomach if they were conscious of it. The question has to be posed, how in these circumstances have the creatures who benefit from this corruption, to the detriment of ninety per cent of the population, who are suffering unbearable hardship, been allowed to get away with it for so long? Surely an effectively organised working class, industrially and politically should have be organising to oppose and stop the worst excesses of this and to mount an effective challenge to the system that causes such misery for so many. Why was old New Labour allowed to rule the roost in the Labour party for so long? Why are the once mighty unions in once ‘Great’ Britain so weak and ineffective? An entire series of books could be written on the de industrialisation of Britain and the decline of the British Empire but it is necessary here to merely identify how this has been reflected in the trade unions. Particularly those affiliated to the Labour party. The bureaucracy and the non-elected and barely elected leadership of the trade unions in Britain are a pale but potent reflection of the corrupt capitalist institutions that they should be opposing. In the majority of cases the so called leadership is guilty of thwarting effective opposition, (as opposed to organising it). So institutionally corrupt have some of our unions become that even many elected officials have failed to get the unelected hired hands under control and in many cases have become corrupted themselves. Several union officials were complicit in the Blacklisting scandal, passing on names to the employers so that they could be denied work, as reported above but the top trade union bureaucracy maintain such creatures in employment and refuse to name and shame those retired or dead. That would only discourage the continuation of these ongoing corrupt practices. Consequently and inevitably the Labour party, which was based on the trade unions and what should be, the political voice of organised labour, has been and is the victim of the same institutional corruption based on the usurpation and centralisation of power in the pursuit of the narrow vested self-interest of those who have acquired a position of power, or are related to or are friends with someone who has. But what about the political wing of the movement? The search is still on for many who are conscious of the corruption in the industrial wing of the labour movement, for exactly who the guilty parties are and how they operate. We don’t have to search that far in the political wing of the labour movement. The war criminal Tony Blair is the political personification of the degenerative corruption that has been taking place. What he represents, old new labour and the misnamed big business backed entryist organisation, namely Progress. has usurped and centralized power in the political organisation of the working class and in doing so obliterated the democratic process. Any honest person only has to step back and look at the outrageous anti-Semitic smear campaign designed to undermine the current labour leadership to see that. The Labour party full time officers and their General Secretary are the link to the degenerate trade union bureaucracy. They reflect very worst traits and anti-democratic practices of the trade union bureaucracy. On the political front it is clear that Blair should be expelled from the Labour party for bringing the movement into disrepute. He should be spending the rest of his life behind bars for the death and destruction he has caused and the lies that he has told in pursuit of the vested self-interest of corrupt and anaemic British capitalism. The General Secretary of the Labour party, Ian McNicol and those well-heeled hired hands who are employed by the party Compliance Unit have been involved in the blatantly bogus anti-Semitism smear campaign/witchhunt in the Labour party. This has seen honest socialists suspended and auto-excluded on completely bogus charges, in the foul attempt to smear Jeremy Corbyn. They should be suspended themselves and the Labour party Compliance Unit should be abolished immediately pending a thorough investigation with a view to taking disciplinary action against any of those that evidence suggests have been complicit in this outrageous episode. The Compliance Unit is a total anomaly with Star Chamber powers of auto-exclusion and suspension. Its practice of auto-exclusion, which now anecdotal evidence indicates runs into hundreds, is in total contradiction to the spirit of Article 6 of the European Convention of Human Rights, which stipulates right to a fair hearing, representation and right to appeal. This practice, introduced by Neil Kinnock to expel the Militant Tendency, means members are ‘auto-excluded’, i.e. expelled without the right to a hearing or right of appeal. The leadership of the party and more importantly the hundreds of thousands of new members, who represent the growing anti-austerity movement need to get more involved if this foul attack by the establishment’s fifth column in the Labour is to be repulsed. It is absolutely vital for Labours new members to get more involved and organised in the party to make this aspiration a reality, holding a party card and voting the right way is essential but in and of itself not enough. The growing scandal of the ‘left-Zionism’ Jon Lansman, the leader of Momentum and his demobilisation of these new members, his refusal to fight the Blairites and now his attempts to ban the use of the word ‘Zionism’ as antisemitic must be tackled as a matter of urgency now. To counter this we must get new members to start attending meetings, taking up positions and getting more involved, those MPs who have constantly colluded with the establishment to undermine Jeremy Corbyn, since the day his nomination to run in the leadership election was confirmed, could be deselected and confined to the dustbin of history where the old new labour project belongs. If the self-sacrifice, commitment, willingness to learn and determination is there this vital task is achievable. If this is done the real task of clearing out the political wing of the Aegean stable will have really begun in earnest. The industrial wing clearly needs to have a similar campaign. A level of self-awareness is a vital necessity though. The corrupting air of these institutions is capable of corrupting some of the most determined socialists. Treat with the deepest suspicion those from the old left persistently urging caution and attempting to face both ways at once. 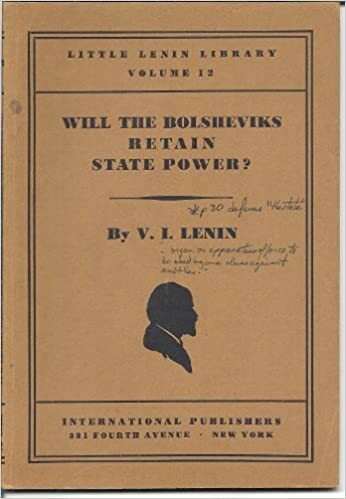 Vladimir Lenin, Can the Bolsheviks Retain State Power?